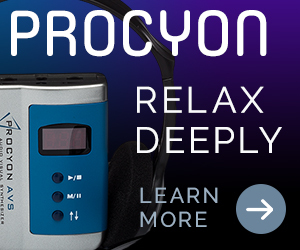 Interested in exploring states of consciousness, clearing your mind of intrusive thoughts, or simply learning how to relax more deeply, light and sound machines can help you. Mindplace most mature product yet, Kasina - This Pali term refers to an ancient system of meditation that uses visual objects to focus the mind. 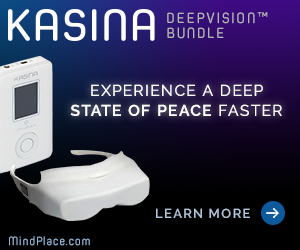 Our MindPlace Kasina can be used in a similar manner to induce positive mood shifting effects. 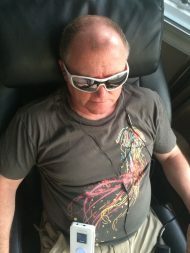 Get yourself into a comfortable position, put on your earphones, choose a session, put on the ganzframes - your mind will naturally attune to the same frequency as the session you choose - in the same way that tuning a fork works. The Kasina features a back-lit, colored LCD display, built in rechargeable lithium battery and can also be used as a USB audio device. The most capable AudioStrobe decoder on the the market, with 16 different color-mapping presets. Use the Color Organ feature to turn any music into a colorful light show. Includes 6 different settings to help match the mood of your music. The glasses feature 6 colored LED's per eye, assuring as vivid an experience as you desire. With aural backgrounds ranging from the soothing sounds of nature to ambient electronic tapestries to embedded binaural beats and isochronic pulses - all orchestrated and synchronized to the visual experience. Let your mind follow the frequency of the session choose. Imagine a world of pure jewel-like color illuminating your visual and mental fields. Amazing visual effects can be produced, including the illusion of complex, shifting geometrical imagery. ncludes 50 unique, pre-programmed light and sound sequences (called sessions or programs) within its internal memory, each designed with a specific goal in mind. It's state of the art color synthesis elements can modulate smoothly between fields of pure color (ganzfeld), through subtle shimmering effects, to foil-on flicker with a frequency range up to 75hz. Colored ganzfeld option-create non flickering fields of light and which shift in hue and brightness. The Proteus is unique among our products as it can be connected with our ThoughtStream Biofeedback System to use biofeedback readings to control programs. DAVID Delight Pro Light and Sound Device. MInd Alive’s top model Mind Machine Used for Brain Training and Relaxation. Most popular light and sound machine used by professionals The only Light and Sound machine with dual frequency brain stimulation, dissociation, brain frequency tracking and music modulation sessions. Mind Alive is the absolute number one in Light and Sound research and Safety ! Comprehensive User guide | The DAVID Delight Pro comes with a comprehensive and easy to understand User Manual. The manual provides information about the programmed sessions, operation instructions and tips to quickly achieve the best results. Excellent support | We have excellent product support by mail and telephone. 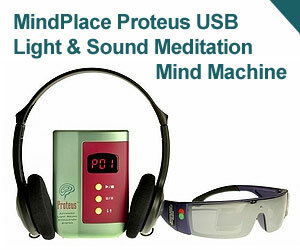 Mind Alive will help you with all your questions regarding this wonderful product. Free Shipping | FedEx Express delivers your DAVID within 3 working days. Immediately after we ship we will send you a FedEx track and trace number so you can always see when your package will arrive. Light and sound machine used by professionals The only Light and Sound machine with dual frequency brain stimulation, dissociation, brain frequency tracking and music modulation sessions. Mind Alive is the absolute number one in Light and Sound research and Safety ! Comprehensive User guide | The DAVID Delight Pro comes with a comprehensive and easy to understand User Manual. The manual provides information about the 25 programmed sessions, operation instructions and tips to quickly achieve the best results. Money back guarantee | If you are not 100% satisfied with your purchase, you can return your order for a full refund. You can return your purchase for up to 30 days from the purchase date. Free Shipping | FedEx Express delivers your DAVID Delight within 3 working days. Immediately after we ship we will send you a FedEx track and trace number so you can always see when your package will arrive.